On January 17, a fatal single-vehicle car accident along State Route 99 southbound caused an SUV to flip over three times, where it ended up laying on the driver’s side. The crash, which occurred shortly after 1:00 in the afternoon where SR 99 connects with Fruitridge Road, blocked a number of lanes, according to the California Highway Patrol (CHP). Emergency medical personnel were summoned to the scene to evaluate those who were in the vehicle, and an ambulance was required for at least one of those persons. It is unknown at this time what caused the vehicle to go out of control or who died in the crash. The fatal single-vehicle accident will be investigated by the CHP to determine the cause. I’d like to take this time to offer my condolences to the family and friends of the decedent in their time of sorrow. 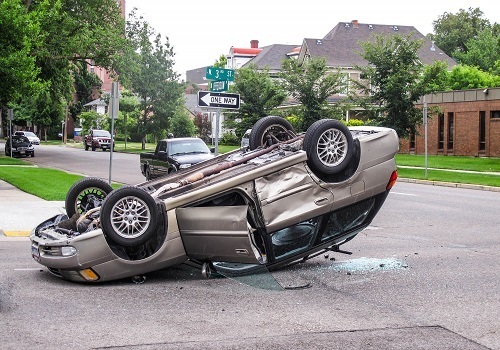 Tripping mechanisms: Approximately, 95 percent of all fatal single-vehicle accidents that involve a rollover occur because of what is referred to as tripping. The vehicle “trips” when its tire hit soft gravel or soil, a bump or the curb. When the road is damaged due to debris or potholes that are the providence of the authority tasked with its repair, a government entity lawsuit can be filed. Auto equipment failure: Defective tires and brakes or steering can result in a fatal single-vehicle accident due to a rollover. 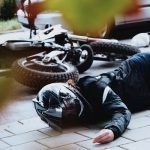 Everyone in the chain of supply from the manufacturer to the dealer can be held responsible for the accident. Speeding: This is a strong factor in a fatal single-vehicle accident as well as a rollover. The common denominator is the loss of control the driver experiences. In addition, due to the high speed, the driver may not be able to use corrective maneuvers before the rollover occurs. Other vehicles: When more than one vehicle is involved in a crash, it depends on the angle of impact. At just the right point, any vehicle can be forced to rollover. However, some are more prone to rollovers. Type of vehicles involved most in rollover accidents: SUVs, light trucks and vans are most often involved in rollovers. This is due to their high center of gravity. The ability of the roof to withstand the weight of the vehicle is essential in a rollover accident. If it is unable to perform this function, the roof can collapse in on those inside causing serious injuries and fatalities. According to federal standards, the roof’s strength must maintain a minimum of 2.5 times the weight of the vehicle in order to comply. If this does not happen, the manufacturer can be held liable. The design of the vehicle is also a factor in terms of crashworthiness. The design must be able to help support the roof. When a crushed roof occurs, an attorney is able to investigate whether the type and model of the vehicle was involved in other crushed roof accidents. The attorney can also determine whether the roof design is conducive to a crushed roof and if so, file an auto product liability lawsuit against the product designer in addition to the manufacturer. I’m Ed Smith, a car accident lawyer in Sacramento. 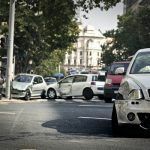 Some single-vehicle car accidents can be caused by negligence, and when this happens, the injured party may be able to claim damages. 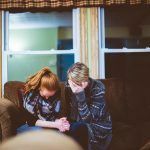 If this happened to you or someone you care about, please call me for free and friendly advice at (916) 921-6400 locally, or reach me at my toll-free number (800) 404-5400. In addition, you are welcome to contact me at AutoAccident.com by using our convenient online contact form. I’m a proud member of the National Association of Distinguished Counsel, an honor awarded to lawyers that the organization believes demonstrate a high standard of legal excellence. In addition, I am a California member of Million Dollar Advocates, a forum that recognizes trial lawyers who have garnered more than $1 million for a client. 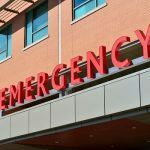 During my 37 years as a personal injury lawyer, I’ve helped many people from Sacramento and Northern California obtain fair compensation in cases involving wrongful death, all types of car accidents and traumatic injuries.